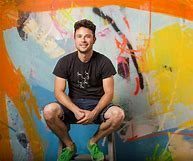 Alex Brewer, also known as HENSE, is an American contemporary artist, best known for his dynamic, vivid and colorful abstract paintings and monumental wall pieces. He has been active since the 1990s. 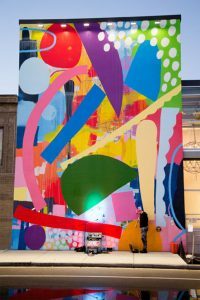 In 2002 he began accepting commissions for artwork and over the course of the last decade has established a solid reputation as a commissioned artist, having appeared in several solo and group shows.